The foundation is the most important part of a building and will determine the structural integrity of the house. 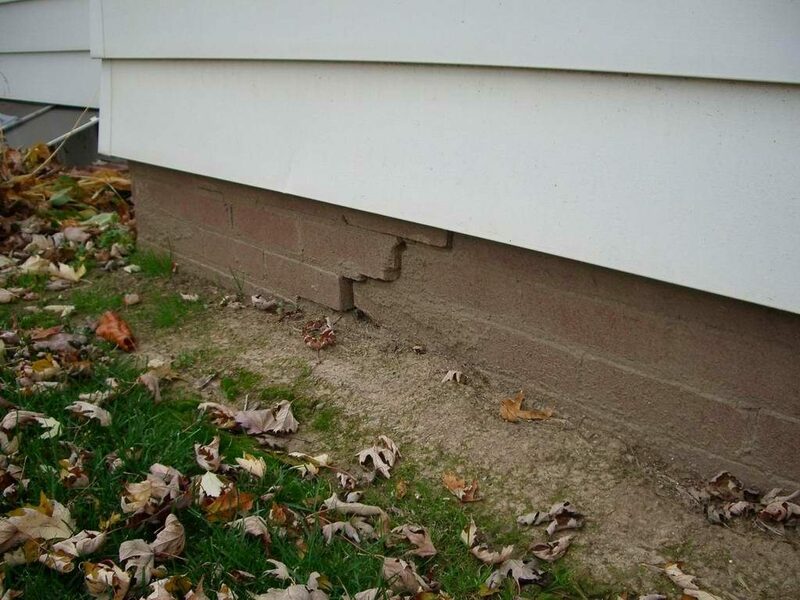 Unfortunately, the foundation can begin to have problems that are often neglected by homeowners. When you want to maintain your property and make the necessary repairs, there are a few signs of a failing foundation to identify. Sagging floors and warped ceilings commonly occurs once the building begins to shift once the foundation starts to fail. There may also be exposed gaps where the walls meet the ceiling and floor. You may begin to notice that the floors are uneven or feel unsteady when walking in different areas of the home. Use a level tool to determine if there’s a minor slope that has formed in your living room, kitchen, or bedrooms. Placing a tennis ball in the center of the room and watching to see if it rolls or moves after a few minutes will also allow you to determine if you need to address foundation issues. Both small and large cracks will begin to form on the walls and become an eyesore once the house shifts. It’s important to inspect the molding, chimney, joints, and pillars to look for decay that is present and may be detracting from the quality of your home. Crumbling or decay may also be an issue on cement or brick facades. One of the most common signs of foundation issues is doors or windows that stick and won’t open easily in different rooms of the home. Everything should fit snug in the frames without appearing too snug or loose. Neglecting the windows or doors can lead to air loss due to drafts that are present and may result in increased heating and cooling costs in each season. The garage door and HVAC vents should also be inspected. Many homeowners discover moisture in their basement due to inadequate drainage with the foundation of the home. You’ll need to hire a professional to perform basement waterproofing and foundation repair to prevent mold from developing and to protect the integrity of the building. When you’re looking to maintain your home and address issues that are present, the foundation is a major component to inspect. By repairing it early on, you can save money down the road by avoiding expensive problems that can develop over time.